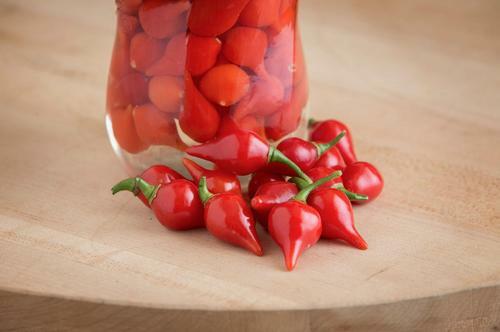 Tiny 1" pointed peppers are very popular in their Brazilian homeland where their tart flavor finds its way into local cuisines as well as homemade pickles. Slightly hot with smoky/fruity undertones. Yes, they really do have tiny tails or little beaks, hence the name. Ripen from pale green to bright red on bushes up to 2.5 ft. They are a Capsicum chinense like a Fatalii so expect late-season ripening; maybe even try them in a large pot so you can bring the plant inside in fall. 100-120 days.